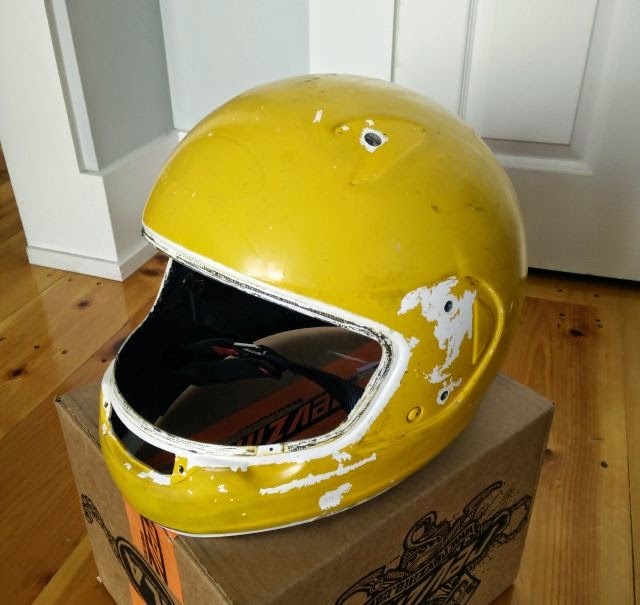 This helmet was painted yellow at one point in it's lifetime. (Not by me.) I had it sandblasted to its original white color. Now I'm using it as room decoration, and to hide my modem/router setup.